When you’re building a new home, make the process easier by working with one company that can handle the design and construction processes. Wilson Built Homes, LLC designs floor plans in Tuscola, TX, Abilene, TX or surrounding areas. You won’t have to pay a separate architect fee if you choose us as a builder. We’ll guide you through the entire planning process. You’ll see plenty of samples of our work during the initial consultation. We can even take your napkin sketches and turn them into complete floor plans. Call 325-518-3687 today to schedule a consultation with a floor planner in Tuscola, TX. As a home builder, we understand what we can or can't create during the construction process. 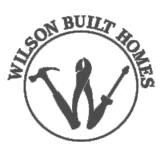 Contact Wilson Built Homes today to start the construction process with a floor planner in Tuscola, TX.